This is a brutally honest autobiography covering the childhood of the author of superb fiction including The Gustav Sonanta, Sacred Country and Restoration. Her account of her 1950s childhood spans an idyllic family farm, a middle class London house, a freezing cold boarding school, and a Swiss finishing school. It seems clear that her parents and grandparents did not love her very much, if at all. It is essential reading for any fan of her work, not least as she helpfully indicates where stories from her life have found their way into her fiction. In her novel Trespass, someone’s mother ruins their birthday by getting trapped in a swimsuit and making everyone else feel dreadful. This is a real event, and the effects have been lifelong, meaning Tremain struggles to celebrate her birthday. “… In my heart, I’m looking out for darkening skies, for the sound of the sea, for the thing that will sabotage the day – the thing that nobody else has seen”. One saving grace is her nanny, Nan, who showed her how to love and be loved. During a revelatory conversation with a colleague she discloses to another person for the first time the loveless nature of much of her upbringing. The colleague replies: “… listen to me: you were lucky. You could have been a depressive mess by now, or you could be dead from drugs or drink, but you’re not. Nan saved you. She was your angel”. 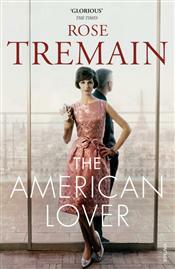 Her mother is shown as very cold, but Tremain is fair in describing how she too was unloved by her parents, or at least loved less than her brothers. Her mother was also sent away from home at a very young age, which affected her for the rest of her life. 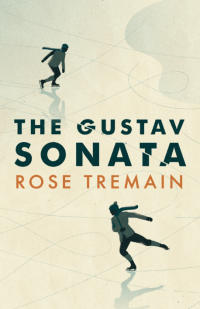 Tremain’s even handed description of a horrifying event which happens to her mother while Rosie is a teenager feels both fair and sympathetic. Her father, as in her life, feels essentially absent from this book. He is a not-very-successful playwright and he seems sometimes to go beyond merely disengaged to being actively hurtful and hostile. Her determination to write is a joy in the book, as are her discoveries of reading and music. Her friendships are vital to her and we see the beginnings of lifelong ones here. She writes of her friends with affection and crispness. Rosie renames herself Rose as she ends her childhood. She makes her young adulthood all her own. What might seem a mean time restriction on an autobiography works very well, and you could not ask for a more candid author. Recommended. I don’t often feel like reading short stories, but this collection by one of my favourite novelists makes for a swift and pleasurable read. The stories are diverse but this manages not to jar, which is especially impressive given their variety. Tolstoy is dying in a Russian stationmaster’s house – but what do their respective wives think about this? In my favourite story, A View of Lake Superior in the Fall, an American couple run away from their troublesome adult daughter to a winter cabin by a lake. The best first line in the collection in my view belongs to The Housekeeper: “Everybody believes that I am an invented person: Mrs Danvers”. This is a strong and engagingly written selection. Recommended.